I booked the flight using AirIndia Miles that I accrued in 2017 using my SBI Air India Signature credit card. Booking was done on the website and it was all quick and easy. Given that I value Air India miles far lesser (~50Ps), I’m happy to see that I’ve got a nice value with this redemption. I arrived early morning at the cochin airport and figured out the dedicated check-in counter for Air India Business Class. But hey, there was a big queue. Looking at the passengers, you could easily say that they’re not really flying business class. So I skipped the queue and went to the counter. The agent immediately responded when I said I’m flying business class. He quickly checked-in my luggage and got my boarding pass. Its OKAY to use the business class counter when economy lines are full, but allowing the business class counters queue up isn’t fair. 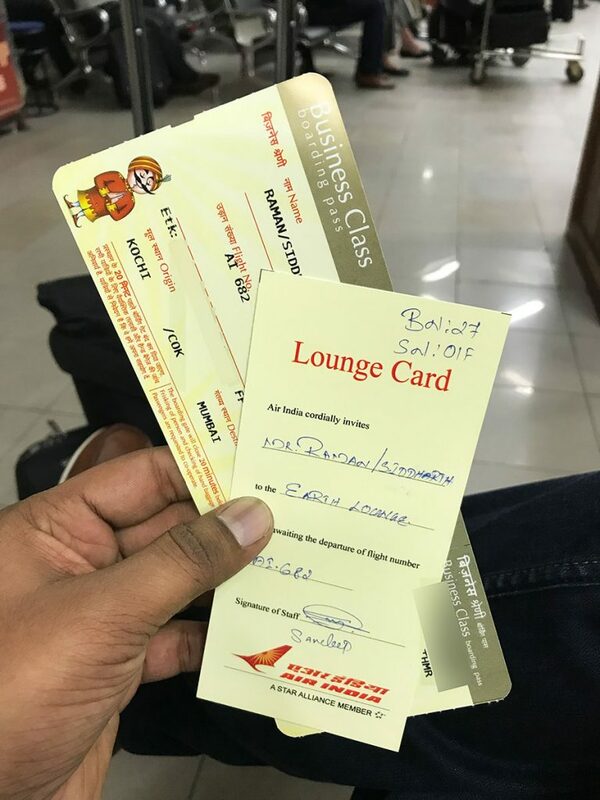 Along with the boarding pass comes the lounge invitation card which gives me access to one of the beautiful lounge in the country with good food, great views, comfortable seating & more. 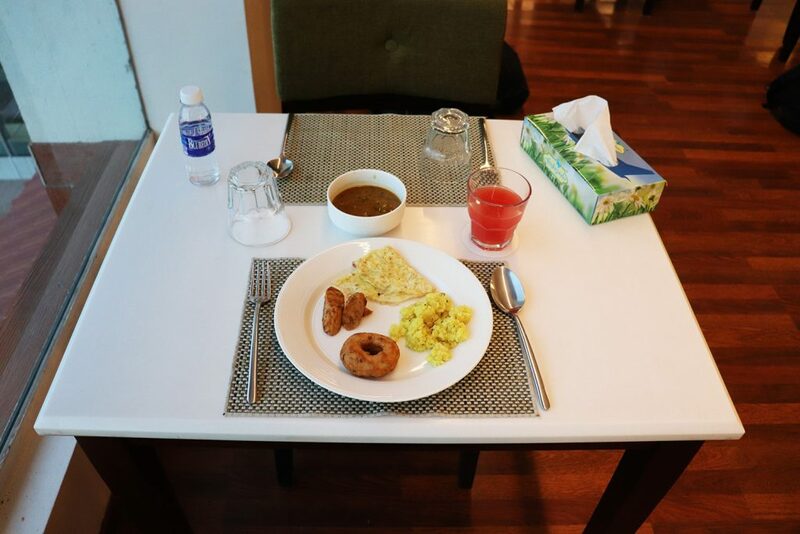 Check out my review of the new Earth Lounge at cochin airport, domestic departures. No priority boarding for Business Class passengers. No one seems to care about their existence either. So I had to board last. My favourite coconut water arrived as soon as I reached my seat. I wish they serve coconut water on every flight in the world. 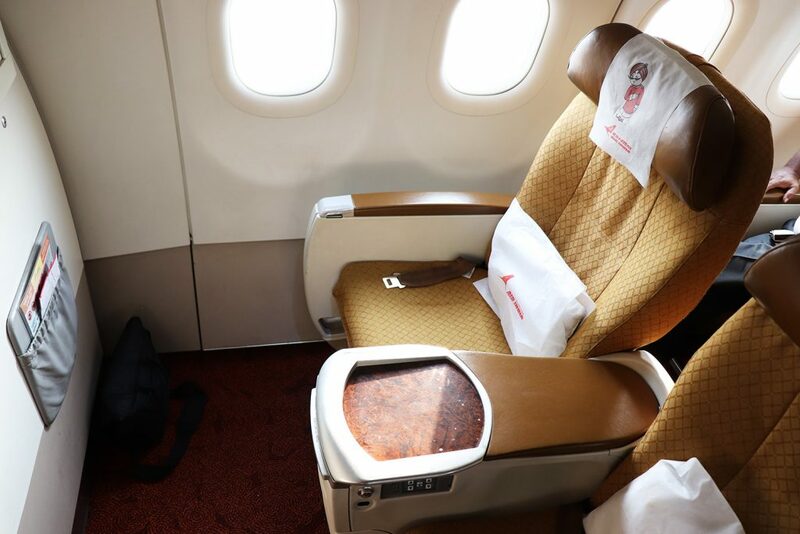 The seat was soft & comfortable which I prefer, over the firm & leather seats that we see on Vistara Business Class (or) Jet Airways business class. I hardly had few options to choose from and I don’t remember they had a concept of menu card for dining either. I went with omelette and it looked like below. While it may look like half-boiled and not so attractive, surprisingly the food was really tasty. Thank god! The flight attendants were all aunties (as usual) and they never cared about anything. 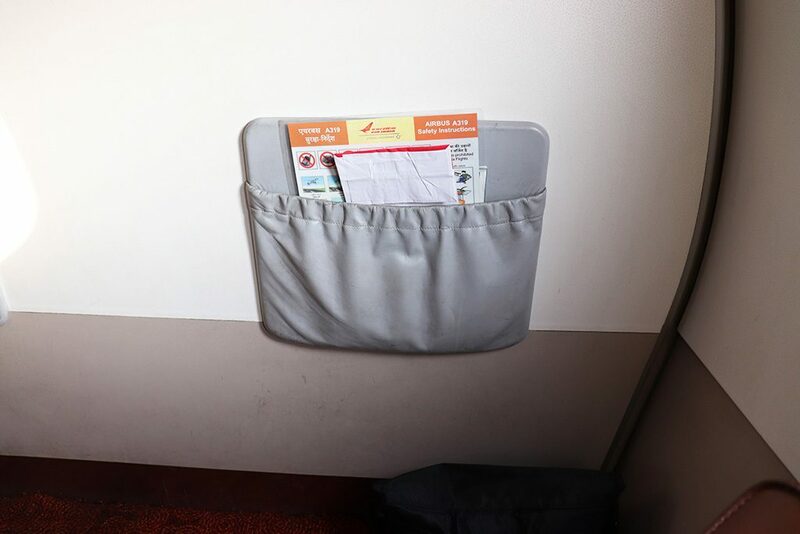 After being spoiled by the amazing Vistara Business Class service, Air India’s Business Class felt like poles apart, Jet being in the center. Looking into the overall experience, it was totally a disappointment. 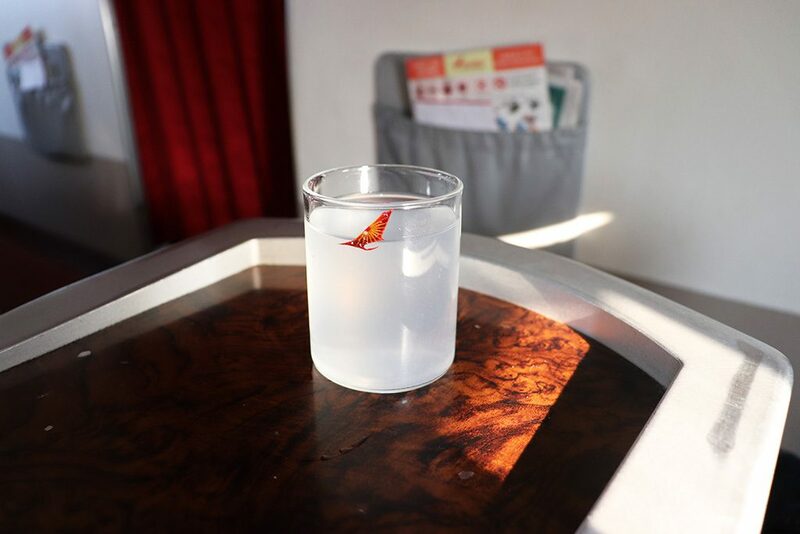 Maybe I shouldn’t have had high expectations like the other International Air India Business Class flight. 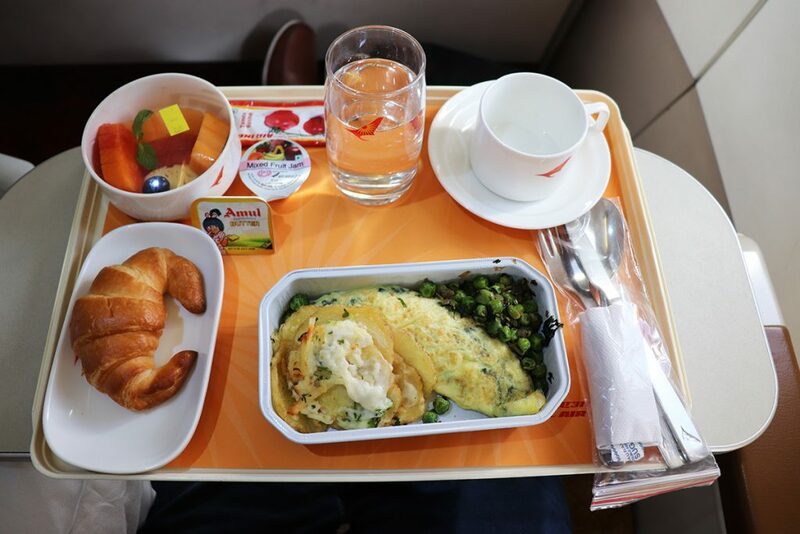 Though, it was still a comfortable journey as the seat & food plays a major role! 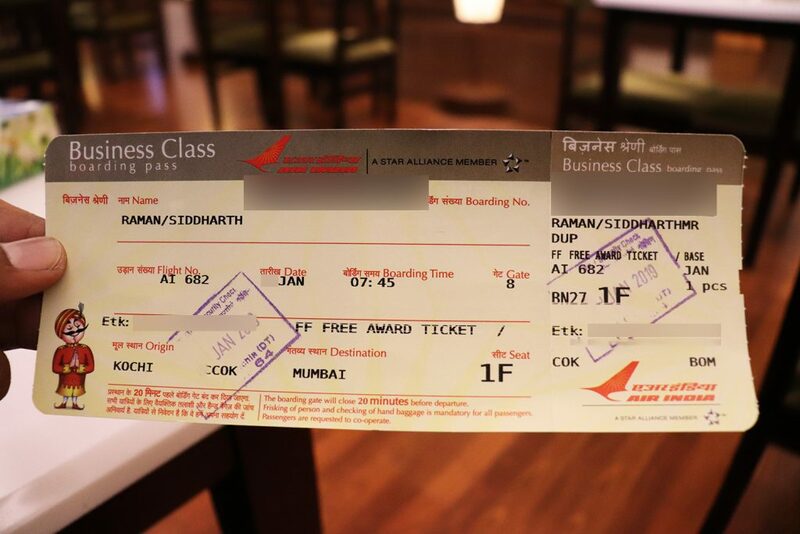 Anyway, lesson well learned – I would think multiple times before I fly Domestic business Class on Air India in future. That all being said, I’m still happy that I was able to get a good value on the miles redeemed for this award ticket. Good or bad, this trip was possible because of SBI Air India Signature Credit card. 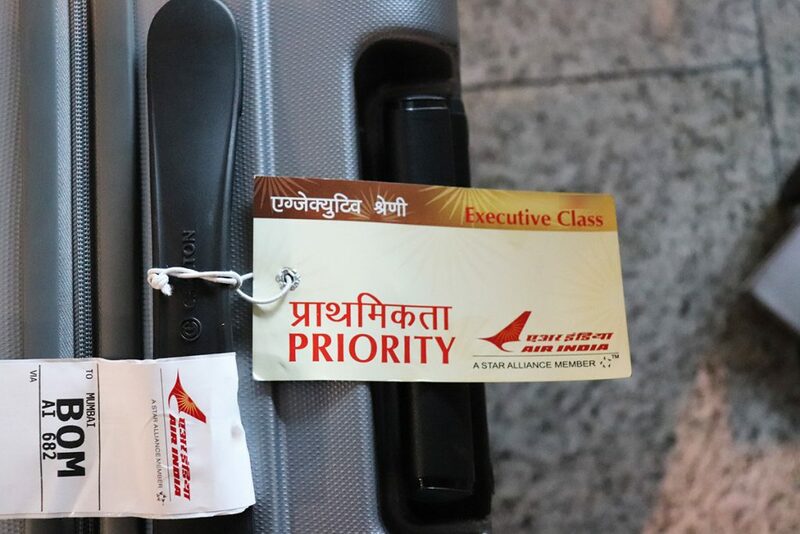 If you’ve no other option but Air India to fly business class, this card may come handy for you. 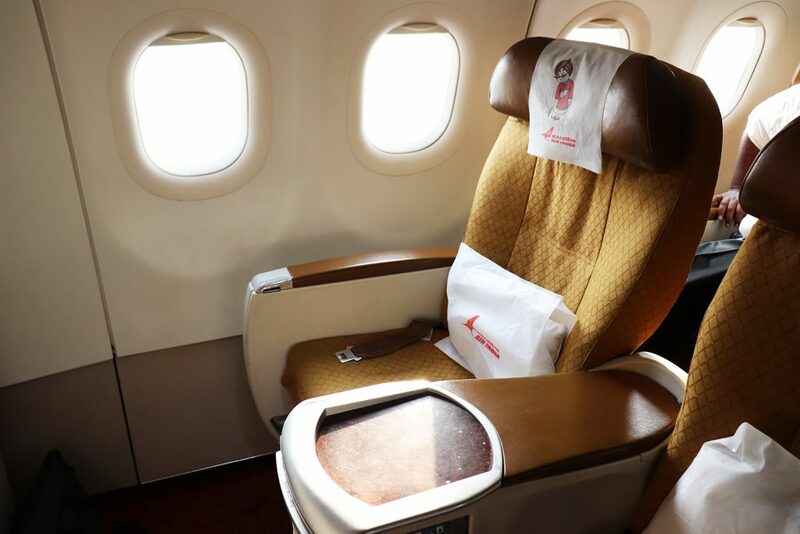 Have you been on Air India Domestic Business Class? Feel free to share your experiences in the comments below. Yes, its normal with Air India! Air India has gone nuts for sure. First they cancel my flight from SLV – DEL “19th March” whose ticket was for 19k and then cancelled the flight from IXC – DEL which they gave me in exchange. 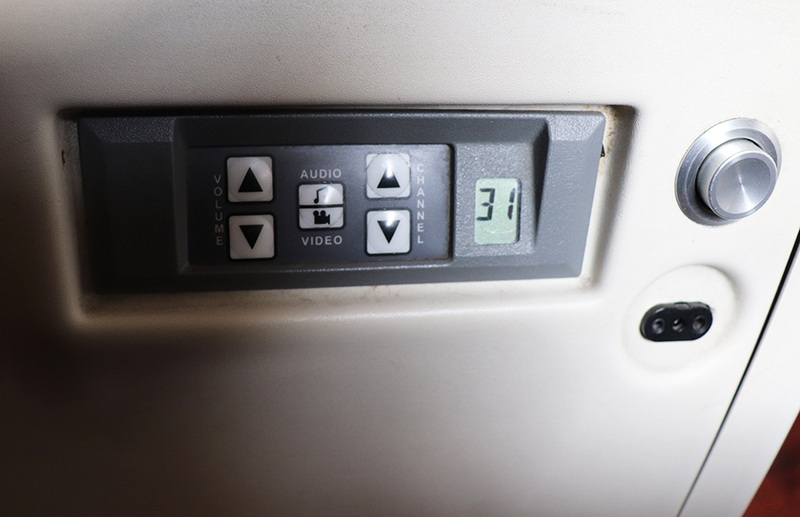 In the end had to take a train to Delhi and missed almost 30% of a meeting… “Thankyou very much Air India”. BTW gave no refund till now saying ticket changed so we need to have “Refund tag” on new ticket to process ticket. If they delay too much, you can do dispute the txn. That’s what I ended up doing for one of the “air odisha” cancelled flight. #Perks of using a Credit Card! Comments like these sound amateurish and presumptuous – I expect better from you. Some passengers may look rough around the edges but I am sure some of them would kick our asses in terms of knowledge or success or in one of 100 other things. Also, I have actually grown to admire Air India that they dont push out their employees when they grow old. 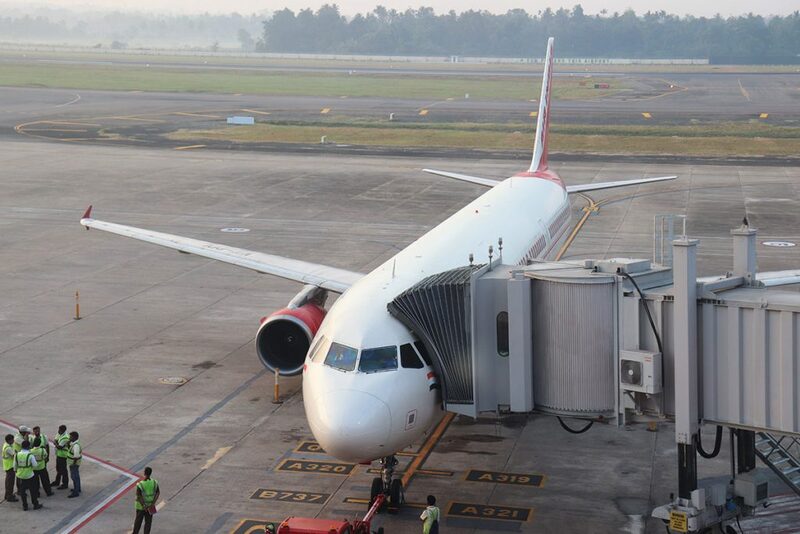 Anyhow, our community here does surely dont fly a particular airlines just to see some pretty faces – otherwise it would have been one of the parameters in all the reviews. 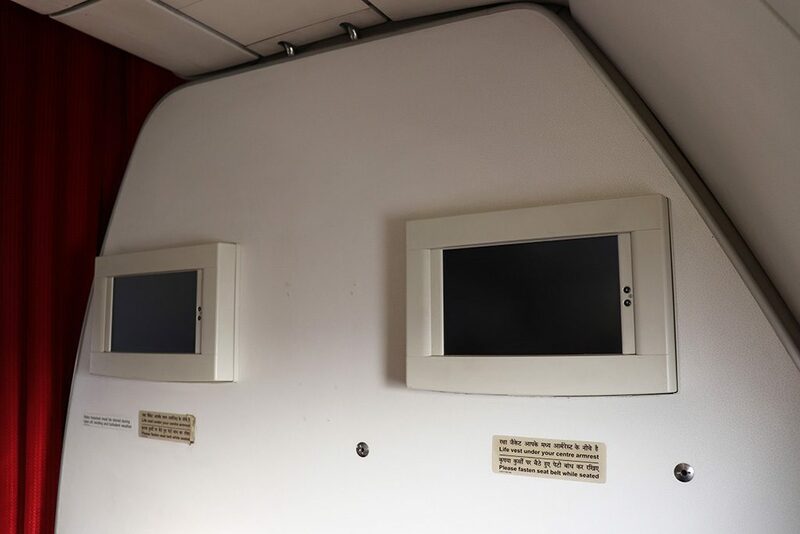 Even if it was meant in good humor – I hope you understand that it wasn’t funny to some people (apart from millennials maybe)..
#1 Agree, I don’t judge people with looks, but this is essential to mention, so that business class passengers don’t end up waiting innocently behind. #2 I’m not against age, even the other air India flight I took was served by an old lady, yet her service was very good. Though, here I assumed higher age reduces their enthu. to take care of the passengers. Either way, I’ll try my best to stop these comments in upcoming articles. Thanks for your feedback. It definitely helps me to tune the content accordingly in future.